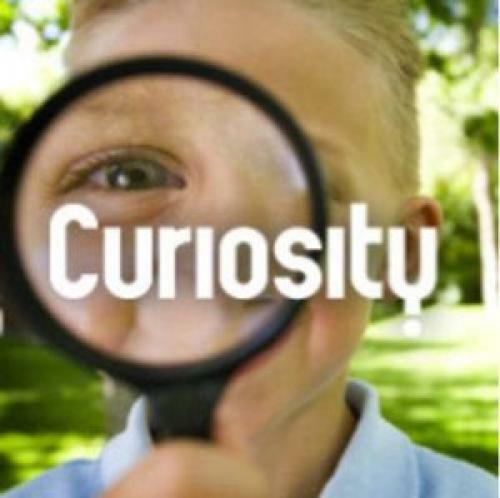 Kids are naturally curious as they inquire about their surroundings and the rest of the world. Few children refuse to admire bugs, even going to the extent of picking them up, petting them, and often trying to sneak them into the mouth for a quick flavor check. Kids wonder at sparkling rainbows, gurgling streams, fluttering birds, and flashing stars. Their curiosity grows as older siblings, friends, family, and parents inspire study and discovery. This curiosity is snuffed when this same group is too quick with explanations, thus extinguishing exploration, or with discouragement when it comes to figuring out answers through experimentation and wonder. Some of this tamping down may be a necessity in a burgeoning classroom of students or with harried, exhausted parents racing to meet urgent needs, but it is sad to watch kids slink into "Just give me the answer" mode for the sake of speedy teaching and learning.